Use these tips for all types of space heaters. Gas-fueled heating devices pose extra hazards because of the danger of carbon monoxide poisoning. Be sure your heater is in good working condition, with no carbon buildup in the exhaust parts. Your heater should have an emergency shut off in case it tips over. Keep kerosene or other flammable liquids outside your home, in approved metal containers in a well ventilated storage area. NEVER fill the heater while it’s hot, or operating. Make sure all fuel-burning equipment is vented to the outside to avoid carbon monoxide poisoning. Install and maintain carbon monoxide (CO) alarms to avoid the risk of CO poisoning. 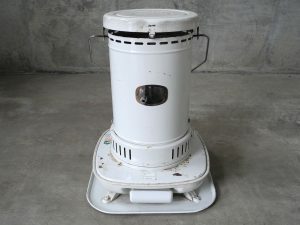 Learn more about space heaters and their safe use from energy.gov.